Stainless steel is sure reliable when it comes to durability and rust resistance. But it requires careful maintenance to make the most out of it. 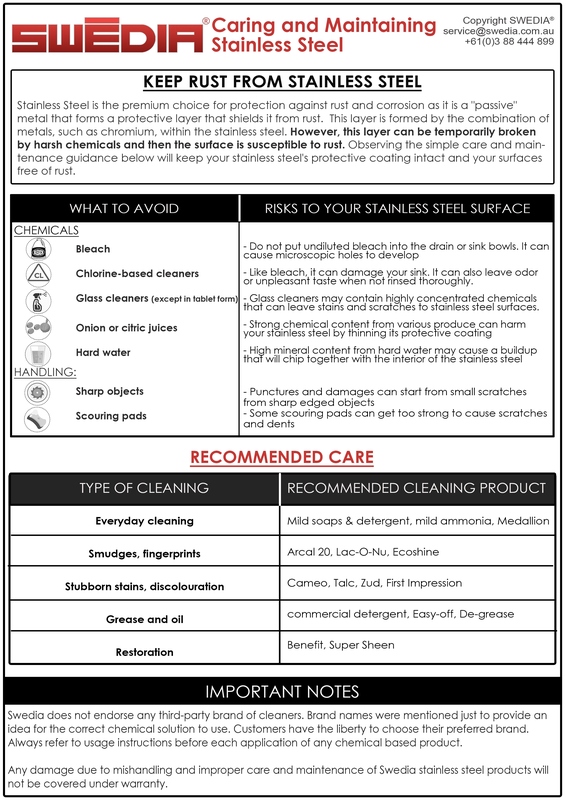 Click on the image below to download the printable Care and Maintenace Manual PDF for stainless steel.